Noble Audio unveils K10U aluminium in-ear monitor | What Hi-Fi? The Kaiser 10U aluminium is the latest addition to Noble’s Universal line, and its first ever aluminium IEM. 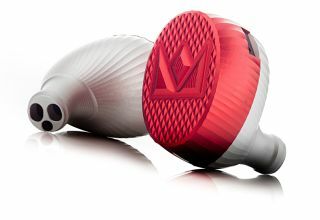 The aluminium in-ears replace the outgoing K10U and use Noble’s 10-driver flagship configuration, which has previously been used in the company’s high-end in-ear monitors and custom in-ear monitors. Housed within the aluminium casing is a ten-armature low-impedance four-way design, which Noble says delivers a "highly coherent presentation across a wide frequency range and delivers the best-ever performance from a portable IEM product". The 10 drivers are assigned to bass, mid-range, mid/high, high and super-high frequencies. The headphones have a detachable two-pin cable and come supplied with a Pelican 1010 crush-proof carry case, velvet pouch, 12 pairs of ear tips and a cleaning tool. The Noble Kaiser 10U aluminium in-ears are available now in two finishes for £999. MORE: Noble Audio Prestige claimed to be the "world's most luxurious in-ear monitors."